On October 22nd BAA Training located in Lithuania has signed Ab initio Cadet Training partnership agreement with BayViet Aviation Academy from Vietnam. According to the recently inked contract, a group of Cadets will be traveling to Lithuania as early as spring of 2016 for flight training. “Throughout the years of operation in pilot training, we have realized that regulations which academy operates under play the key role in the quality of graduates’ professionalism and preparation for the airline job. We also have well defined aim to provide the Vietnam carriers with skilled and well prepared pilots, and EASA pilot license is well known in the aviation world as a reliable option for expertise in young pilots. This has made us turn toward EASA as a preferred training standard and look for strong and reliable EASA approved partners” commented the CEO of BayViet Capt. Nguyen Nam Lien. BayViet Aviation Academy is a subsidiary of Vietnam Airlines – Vietnam flag carrier; therefore, flight academy places major focus on the quality of aviation training. The quality focus has led BayViet Aviation Academy to encourage pilot Cadets to be trained according to the highly rated EASA regulations. After the carefully performed EASA approved aviation academy market analysis, BayViet Aviation Academy has signed the contract with BAA Training for the first mutual Cadet Pilot training group. 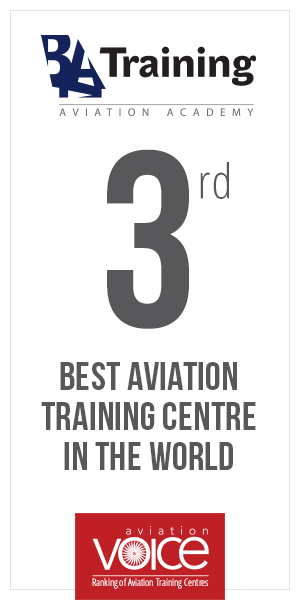 “This Cadet Training partnership facilitates dual benefits on our aviation training academy: it obliges us to remain the strong aviation solutions provider that we have come to be and also opens up numerous opportunities as we continue developing the relationships and building expertise in Pilot Cadet training”, commented Egle Vaitkeviciute, CEO of BAA Training. The long-term contract between two aviation academies already has a group of Vietnamese students working towards their EASA licenses, and is planned to graduate the Ab Initio School in the third quarter of 2017. BayViet Aviation Academy also known as Viet Flight training is Vietnam based approved training organization(ATO) founded in 2008. Bayviet is approved by CAAV (Civil Aviation Authority of Vietnam) to provide ATP Theoretical course, MCC based on EASA standard and flight training in partnership with CAAV approved flying schools for those who desire to become pilots. Two Professions: Which Road to Pick?